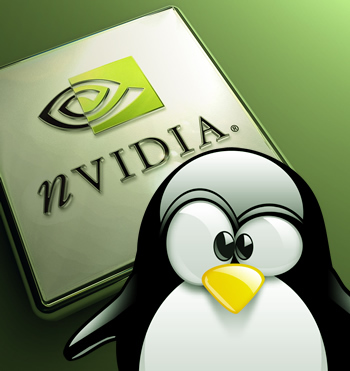 In a press release published on Wednesday, the Linux Foundation announced another major industry player has joined their cause: Nvidia. This means the iconic graphics chipmaker has joined the likes of Intel and AMD as members of the organization. The Linux Foundation is a non-profit consortium dedicated to improving Linux by supporting and protecting its members while leveraging their technical expertise. For the Linux world, this could be some very good news. Open source drivers are important to Linux for reasons of practice and principle. This may be the first step leading to Nvidia finally introducing an official open source alternative to its traditionally proprietary driver sets. So far, Nvidia has proved it has a tin ear when it comes to open source. The company has been unwilling to contribute to projects like Nouveau, which have had to actually reverse engineer Nvidia drivers to provide an open source alternative. Linux fans shouldn't hold their breath just yet though -- no details were given about how Nvidia will participate, contribute or what their intents may be as a foundation member. Typically though, those who join the Linux Foundation do so to participate. A handful of other companies also joined the Linux Foundation as well, including Fluendo, Lineo Solutions and Mocana. Fluendo is a multimedia software developer who specializes in leveraging Gstreamer-based solutions, an open source multi-media framework to which the company actively contributes. Lineo is an embedded systems developer who has relied on Linux for nearly 20 years and Mocana is a security platform developer. The Linux Foundation contains many other notable partners, including Google, Fujitsu, IBM and Broadcom.